Chinese investors may be buying Auckland real estate, but most of the big investment into New Zealand is still coming from traditional markets. According to a new KPMG report, 'Foreign Direct Investment in New Zealand: Trends and Insights ', major investors from the US, Canada and Australia are collectively investing over three times more in New Zealand than those from China. KPMG has drawn this conclusion by reviewing the applications the Overseas Investment Office (OIO) has approved between January 2013 and December 2014. Investors have to get approval from the OIO if they want to acquire business assets worth more than $100 million, sensitive land, or a fishing quota. So when we talk about “foreign investment” in this report, we’re talking about high value or sensitive foreign investment. 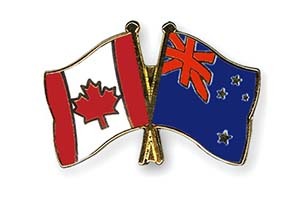 This considered, KPMG reports investment from Canada accounted for 22% of foreign investment in New Zealand over 2013 and 2014, while investment from China accounted for only 14%; the US, 13%; and Australia, 11%. These portions are based on gross consideration – asset values and development costs where gross considerations aren’t specified. Before cracking into the details, KPMG makes a few disclaimers. It notes not all OIO decisions necessarily proceed to settlement or result in investment, so the information can’t be interpreted as actual investment data. Investment from Australia is also under-represented, as "certain" Australian investors only need to get OIO approval if they acquire over $477 million of assets, rather than $100 million, and the investment doesn't include any sensitive land or fishing quota. Thus the level of observed Australian investment is likely to be lower than what the reality may actually be. KPMG was also unable to include about 8% of consideration values in its analysis due to confidentiality. Taking this into account, the OIO approved a total of $12.4 billion of overseas investment applications in the two years to December 2014, and $18 billion in the two-and-a-half years to December 2012, indicating the amount being invested hasn’t changed much over this time. So where is the money being invested? Investors from Canada and the US are largely putting their money into forestry, while those from Asia are investing in dairy and real estate. In 2013-14, 48% of the land acquired by foreigners (by hectare) was bought by US and Canadian investors. Only 11% was bought by Chinese investors. KPMG says the US acquired the most land during this period – about 115,000 hectares. This was largely due to Rayonier Canterbury LLC acquiring an additional 74% holding in Matariki and Waimarie Forests. 56% of the land acquired was used for forestry, while 12% was used for dairy – up from 6% in the 2010-12 period. Sheep and beef accounted for 30% of the land acquired. The largest transaction made in 2013-14 was made by Canada’s Public Sector Pension Investment Board, which bought a portfolio of 18 assets held in an AMP Capital Property Portfolio, for $1.1 billion. The Board also increased its investment in Kaingaroa Timberlands Limited. Of other significance, a Japanese manufacturer, Oji, acquired Carter Holt Harvey’s pulp and paper operations for $1 billion. Investors from the US invested $688 million in Heinz, $482 million in Crombie Lockwood, and $234 million in BOS International, to name a few. KPMG says Canada and the US have made significant investments into forestry, which it cannot include in this analysis due to confidentiality. From China, Beijing Capital bought Waste Management from Transpacific industries for $950 million, Yashili invested $212 million in a milk processing plant in the Waikato, and Yili Group invested $214 in Oceania Dairy to construct an infant milk formula processing plant. KPMG points out that unlike a large portion of FDI, China’s investment into New Zealand in recent years has included the development of new assets. Overseas investment in New Zealand continues to be broad based. KPMG reports 17% of investment is going into the energy and power sector, 13% into real estate, 11% into agribusiness, 11% into materials, and 9% into healthcare, financials and consumer staples. It says there hasn’t been too much movement in these sectors since 2011, however there’s been more interest in New Zealand’s healthcare sector. Of the agribusiness sector, half of the investment dollars came from dairy and milk processing. KPMG says the level of investment in the dairy sector has increase from 37% to 51% since the 2010-12 period. However it expects this investment to take a hit as global dairy prices dive. It notes this blow may be offset somewhat by speculative buying of farms if farm owners are forced to sell. Investors from China and Hong Kong make up 49% of agribusiness investment. The Labour Party is criticising the OIO for not collecting data that reveals what value investors are creating when they buy our productive land. Its spokesperson on the OIO, Stuart Nash, says “It is not enough for the Government to simply report on the quantity of our land that is being sold offshore: investors are required to add value over and above what a Kiwi investor would, in the form of additional jobs and exports. But the OIO is failing to report on whether these promises are being kept. “Since 2005, 716 investors were given the right to purchase sensitive land (5ha or more) and had to quantify what the additional value is that they would offer. But we have no idea whether these promises are being kept or whether the international investment is adding real value to our economy. “Quality investments will add significant value in terms of high value employment, new skills, increased trade access and export receipts. Low value ones will add nothing to our economy and communities."